Chromastics Hair Color is proudly mentioned on Green Bride Guide as a Professional Organic Hair Color For Natural Brides. 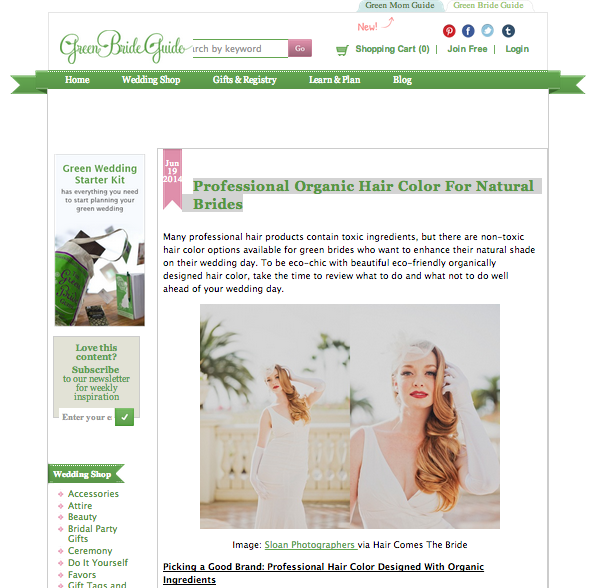 Read the full article about how to get professional organic hair color for your wedding day. Chromastics Hair Color is one of the only organically designed hair color systems that puts complete artistic control in the hands of your creative hair colorist. In addition, every shade contains hydrolyzed proteins that dramatically help the hair feel and look better.